Keep in mind that it’s the total travel costs that are important! Thinking out of the box can save you on what is the most expensive part of almost any trip: air-travel. 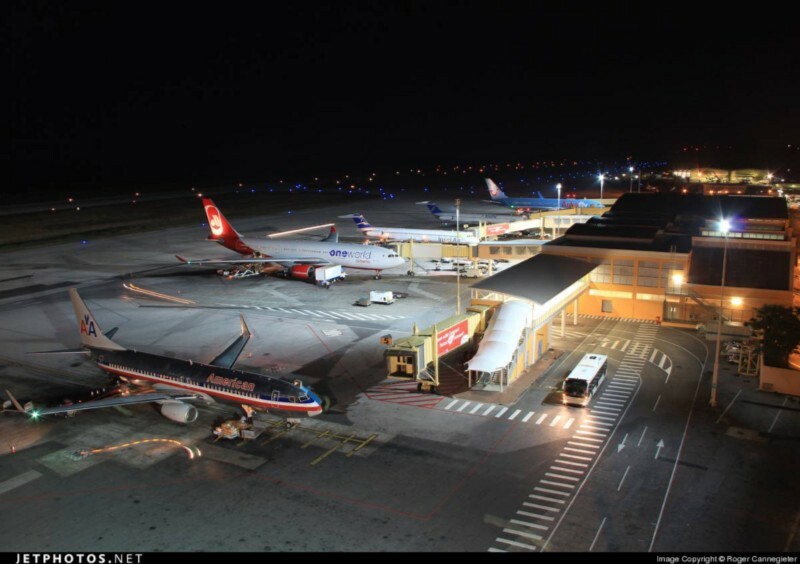 When choosing the best airport to travel from or transfer through, consider things like; getting to the airport, parking, baggage surcharges and stopover costs. Check low-cost carriers flying from local airport to catch a connecting flight to Curacao. Do a convenience/cost analysis of your total trip. Large airports provide the most connections but are not always the cheapest or most convenient! Check the bottom of this post for more in-depth information on how to minimize your total travel costs. Regional air-travel to and from Curacao is dominated by Insel-Air. One small exception to this is Divi-Divi Air connecting Curacao and Bonaire. At this time airlines like DAE, Tiara Air and AVA are either bankrupt, don’t list any flights or have not started to do so yet. This market is sure to change and desperately needs more competition. Until then flight cost remain high in this region. It is only worth considering a destination or stopover in another Caribbean city if you are planning to visit that destination. One-way flights between Aruba, Curacao and Bonaire cost about US$100.00, regardless of the airline (don’t forget to check for specials!). Copa Air from Panama is worth a look if traveling from Central America. From Trinidad & Tobago Suriname Airways is an alternative to Insel-Air. For direct flights from Venezuela, scroll down to the South America tips. This is the largest market for flight recipes to Curacao. There are specials starting from as low as €400.00 return! Although Google.com/flights does an adequate job at showing showing deals, it’s always a good idea to check with the airline directly. The main players are KLM (more expensive and all inclusive) and ArkeFly (cheaper but you will have to buy or bring your own victuals). These flights can include a short stop on another Dutch Caribbean island on one leg of the round trip journey. It’s not possible to use one of these stops as a way to visit another island without booking an extra flight. Most flights originate from Amsterdam’s Schiphol airport but there is also a weekly AirBerlin connection direct from Dusseldorf, Germany. Starting Nov. 2015 ArkeFly will also depart from the Dutch city of Eindhoven. If you can’t get to Amsterdam easily and affordably, consider low budget carriers connecting through these 2 other airports. Flying to Caribbean destinations, other than Aruba and Bonaire, and then connecting on to Curacao will be far more expensive than direct routes to the ABC islands. The menu here has expanded recently with direct flights from Toronto and New York as well as a 1-stop option from Houston via Aruba. The main hub is still Miami with daily American Airlines and Insel-Air flights. Insel-Air is convenient but can be pricier. American Airlines is the “fast-food” flight provider. It has the most capacity, good prices and speedy service. JetBlue is a new entrant with good deals direct from the Big Apple. Internal US flights to Miami and then on to Curacao are cheaper than getting to the Caribbean first. A connection through Aruba may be an exception. The entire market is dynamic and I expect planned flights into Cuba to connect directly to Curacao later in 2015, delicious! If you are looking for the flight of a lifetime…XCor Space Expeditions is planning flights from Curacao 100Km straight up! That’s right to the edge of SPACE!! Check them out here. Nomadic Matt is such a popular and respected travel blogger that he’s published on actual paper! I learnt a lot about budget travel from his many posts. For some colorful and very palpable information on tasting life on Curacao, check this great infographic by Sheedia Jansen. There is also a good wikitravel.org page on Curacao that I contribute to.